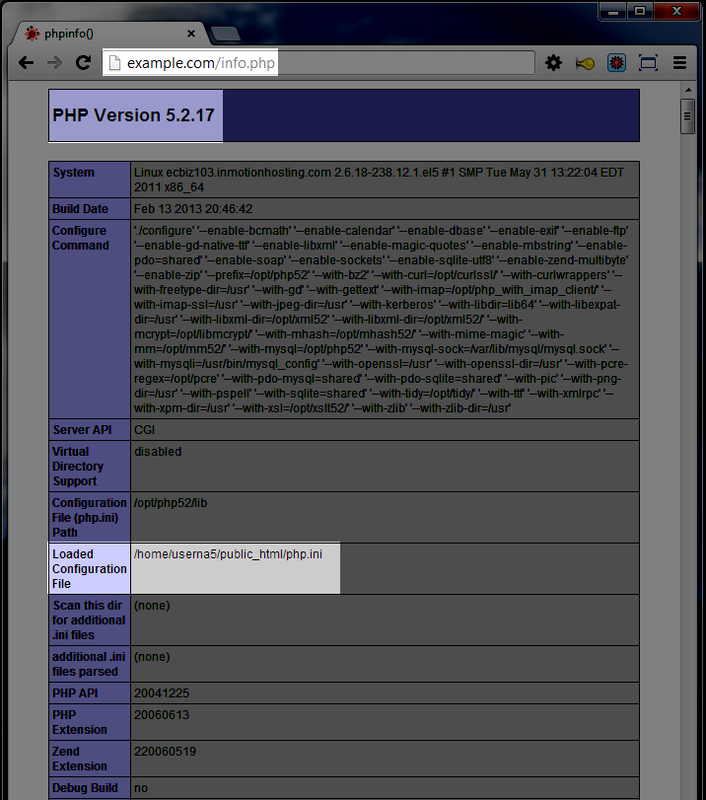 In this article I'm going to quickly show you how you can find the PHP version of your server creating a PHP info page, this will also allow you to see the options PHP is using and any active PHP extensions. Why does PHP version matter? As PHP has been updated over the years, each new version typically introduces better security practices, and new features to take advantage of. Typically if you're trying to run PHP software on your website, it will require a minimal or specific PHP version, and also possibly the need for certain extensions to be enabled, or certain values entered in for the various setting options. Using the steps below I'll show you how to create a PHP info page that will allow you to not only see your PHP version, but also all the PHP options that are currently in use. Under the Files section, click on File Manager, then select Web Root and click on Go. At the top-left, click on + New File, name the file info.php and click on Create New File. Then click on Save Changes at the top-right hand corner of the screen. You can scroll further down the PHP info page, to also see individual PHP options that you can set. Now that you know how to check what version of PHP is running on your server, you might also be interested in changing it. You can learn about how to change the PHP version your account uses, which will show you how to select the version of PHP you'd like to use from cPanel. You can also use multiple PHP versions on your one account by adding some .htaccess rules. If you're running any automated PHP scripts via a cron job, you might also be interested in forcing cron jobs to use chosen PHP version. If you're on a VPS (Virtual Private Server) or dedicated server and have root access to your server, you can also upgrade PHP using EasyApache if the version of PHP you're currently using is too old for your needs.